V5, original owners booklet, old V5, MOT’s etc. Good service history with stamps in the book and folder full of invoices. 2002 1,392 miles – Lotus Ribble Valley – After sales service. 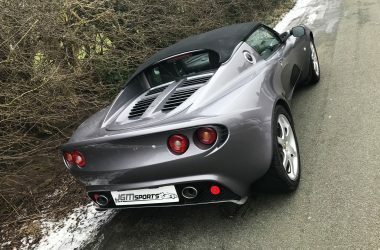 2003 9,601 miles – Lotus Ribble Valley – A service. 2004 17,319 miles – Blink Motorsport Ltd – A service. 2005 25,928 miles – Tempest Motors Ltd – B service. 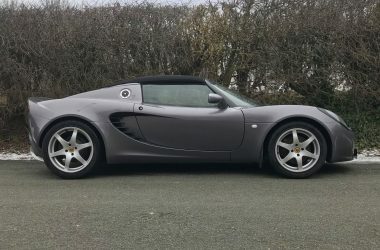 2006 31,714 miles – MOT. 2006 35,045 miles – Westwood Garage – A service. 2006 35,657 miles – Lotus Ribble Valley – A service. 2007 35,874 miles – MOT. 2008 37,561 miles – MOT. 2009 37,982 miles – Manchetts – B service + EBC turbogrove brakes. 2010 37,989 miles – MOT. 2010 38,168 miles – Manchetts – A service + alternator. 2011 39,232 miles – MOT. 2017 40,018 miles – Ivalet UK – A service. 2017 40,375 miles – MOT. New Yokohama Advan AD07 tyres. Excellent interior and body work. The whole car really is in stunning condition and must be seen.